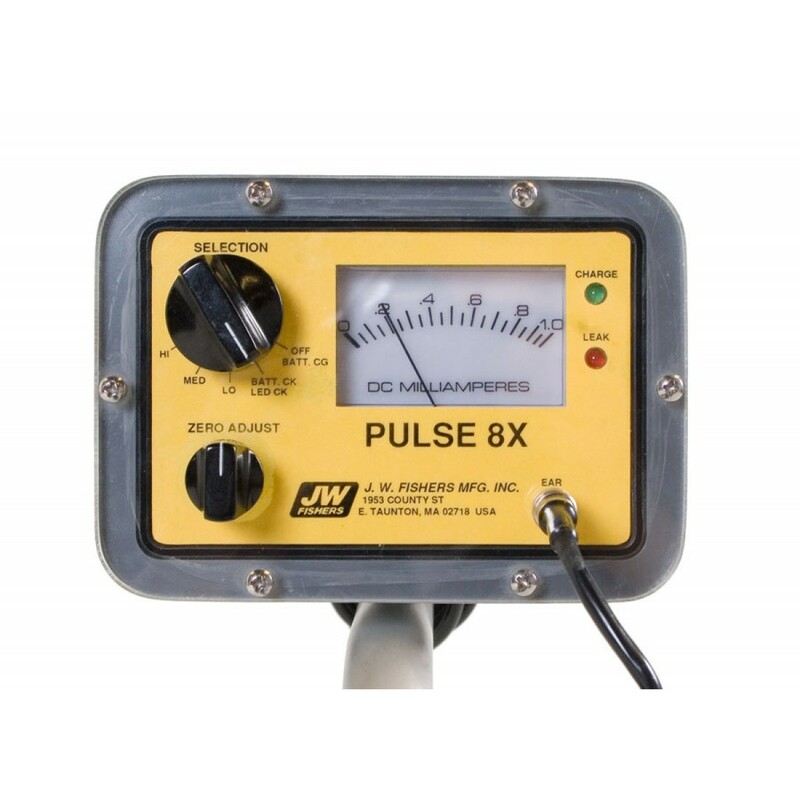 The claim-to-fame of this pulse induction detector is its ability to ignore minerals in the environment while maintaining high sensitivity to all metal targets. It is not affected by highly mineralized salt water, coral, rocks with a high iron content, or magnetic (black) sand; all of which drive conventional metal detectors crazy. 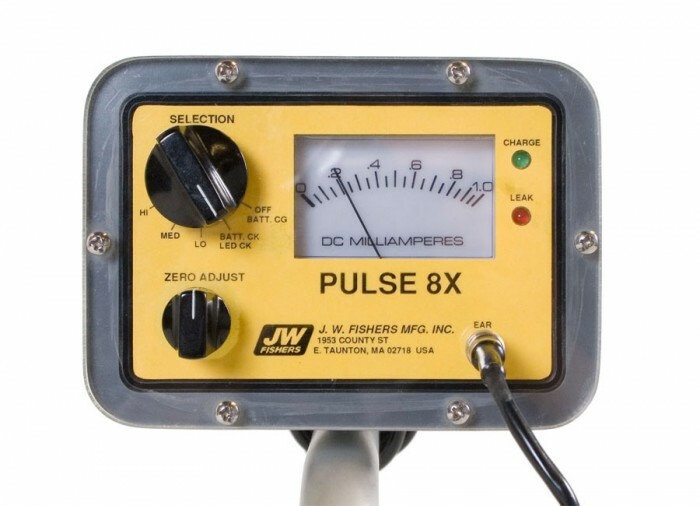 The Pulse 8X detects all metals from coins and jewelry, to anchors and cannons; and does it on land, or in fresh or salt water. 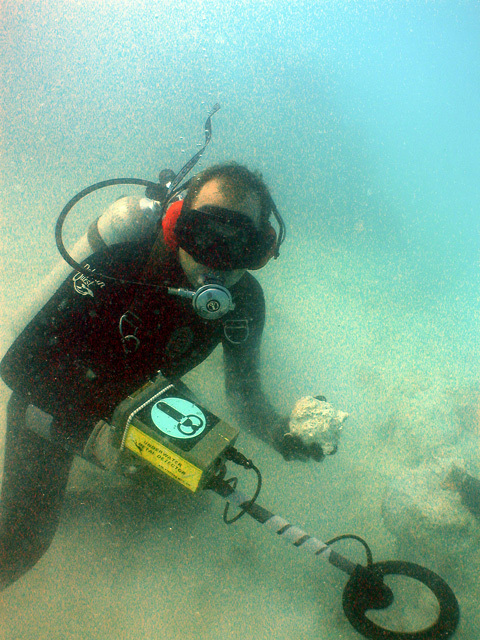 The diver is alerted to presence of a metal target by both visual readout (shown on the meter) and an audio output (heard in the underwater earphone). 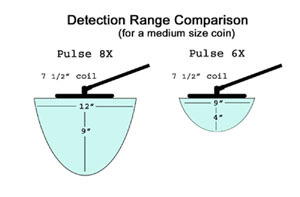 The detection range for a target is unaffected by the medium between the detector's coil and the metal object. 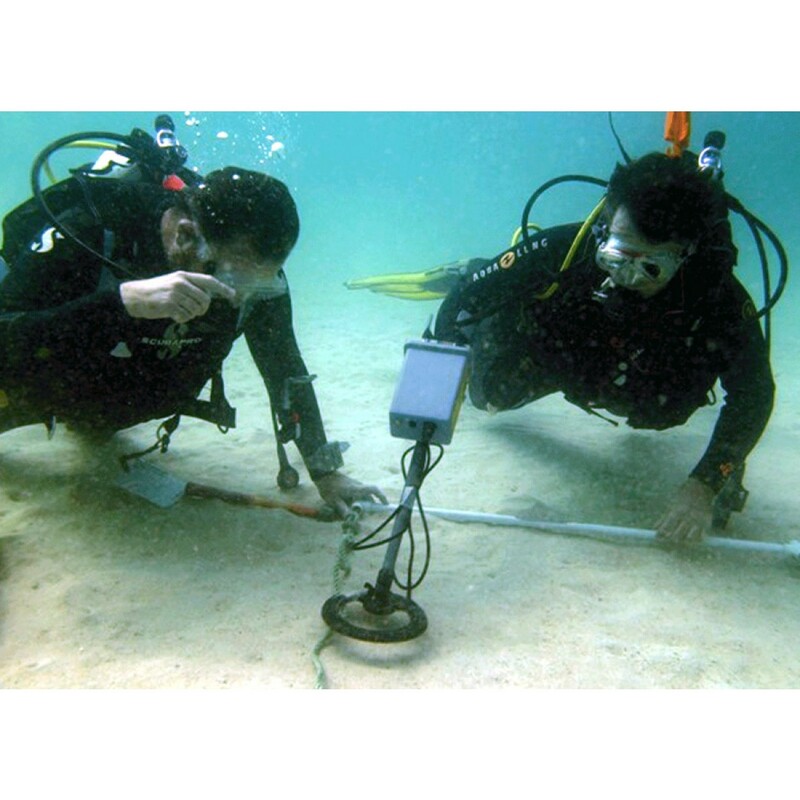 Performance does not vary whether detecting through air, water, silt, sand, or solid coral. 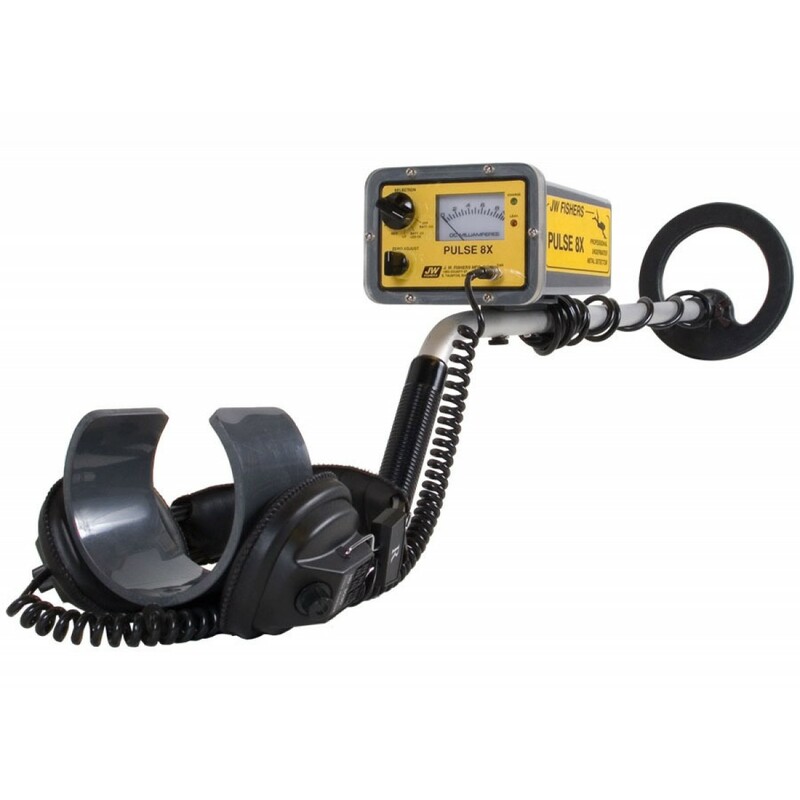 Powered by an internal 9 volt rechargeable battery pack, the detector will easily run all day on a full charge. Recharge the battery overnight, and it's ready for another full day of hunting.The Pulse 8X has double the power and detection range of the Pulse 6X detector. 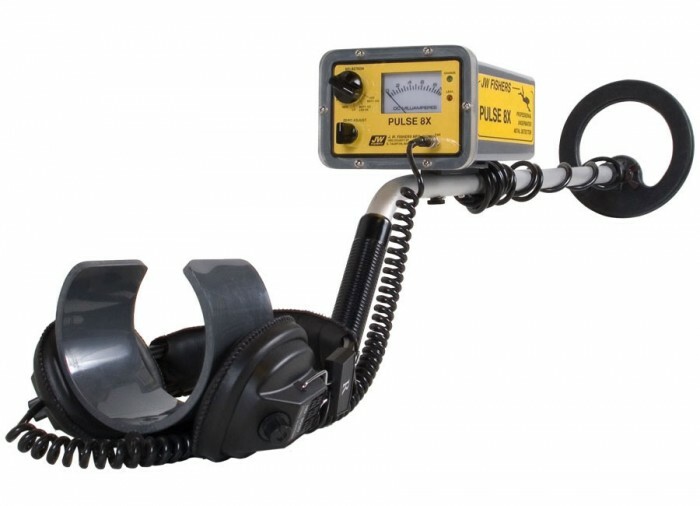 JW Fishers Pulse 8x has been rated the best underwater metal detector by the US Department of Homeland Security's SAVER program. 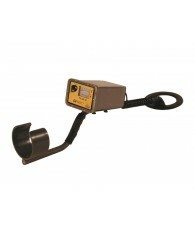 The standard 7.5 inch coil has good sensitivity to both small and large targets, and makes target pinpointing a breeze. 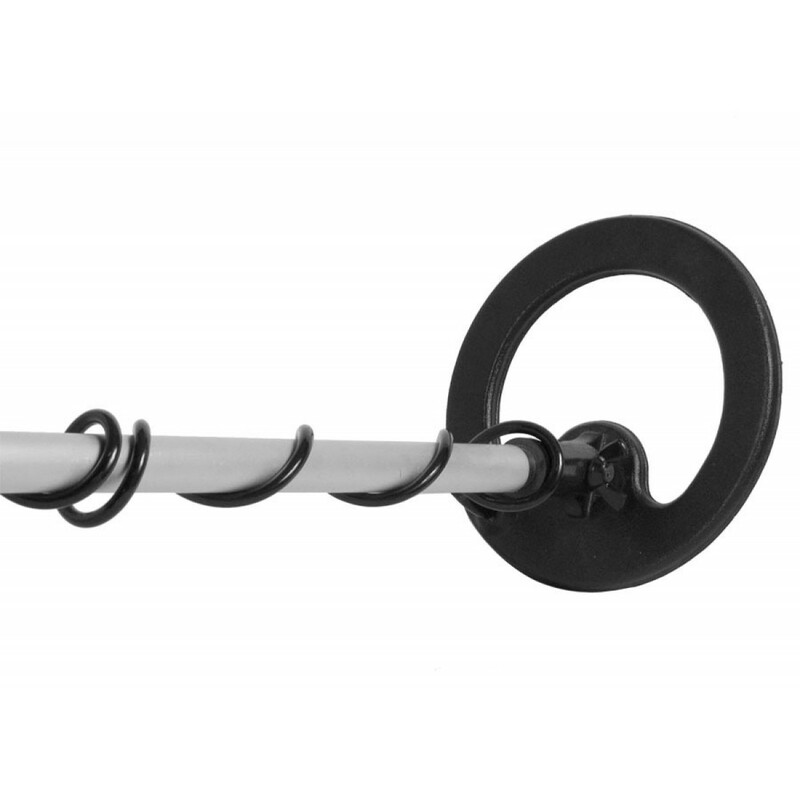 Other size coils are available for more specialized applications. It is necessary to have the underwater connector option to interchange coils. 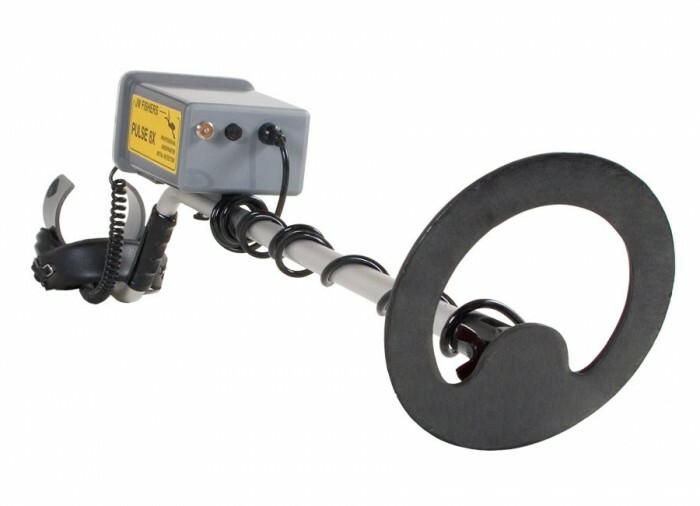 This is an extremely well built and designed underwater metal detector for the serious diver/treasure hunter. I've used my Pulse 8X (your Version 2 with fitting for different coils) for 8 years and hundreds of dives with the original rechargeable battery. 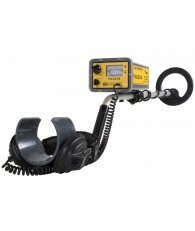 I use the standard 7.5" coil and the small 5" coil. 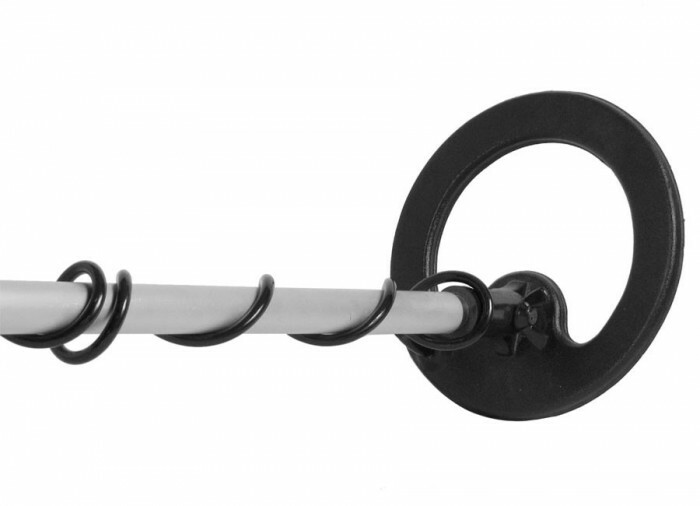 To make changing the coil easier and less stress on the wire, I have each coil mounted on a separate underwater handle assembly. 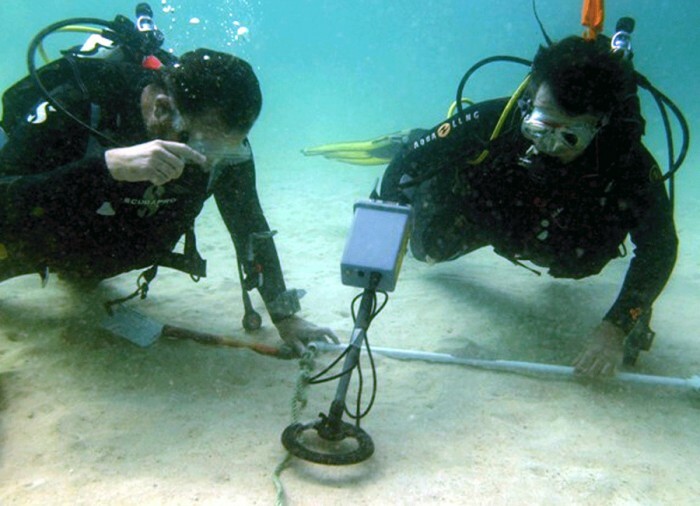 Unless a hood is always worn to accommodate the earphone, the underwater headset is a must. 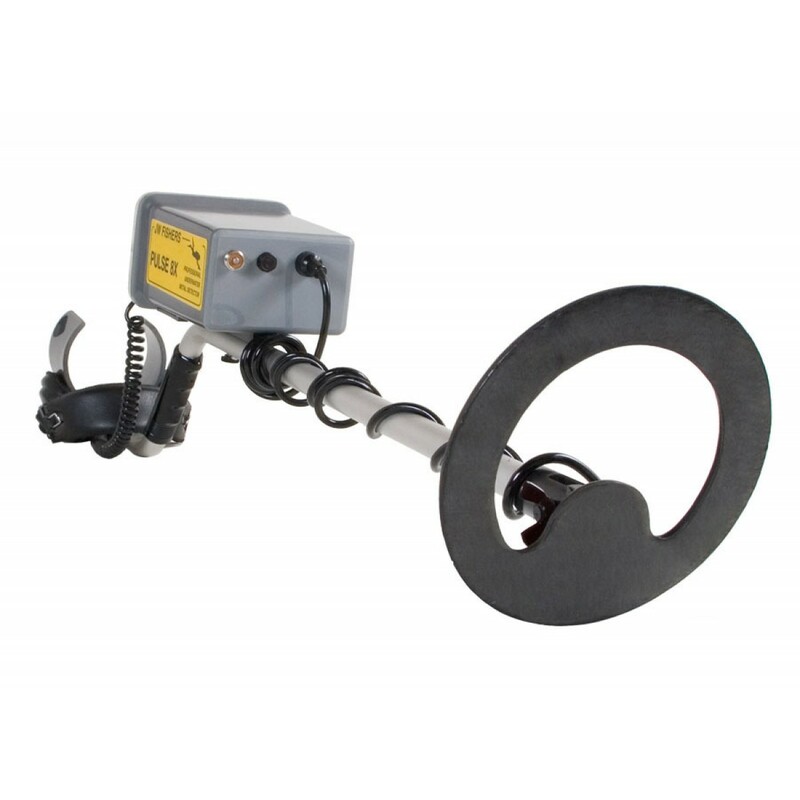 Very clear audible sound and comfortable for hours of searching. Have been successful in locating the very smallest targets. Operation of the unit has been completely trouble free.